Social media has changed my life. That's a bold statement but I really mean it. The latest impact has been on how I travel. It has created an entire new dynamic experiencing that has enhanced the joys of discovering new places, meeting new people and eating well. 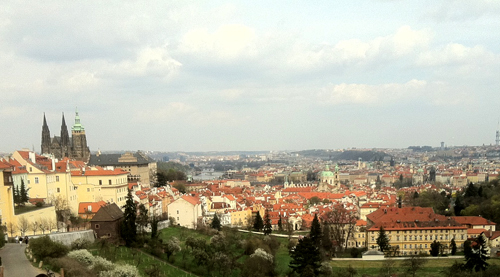 Recently I was planning a trip to eastern Europe which I'm currently on, and tweeted that I was going to visit Prague. One of my tweeter followers Jennifer Lyn King, saw the post and reached out to me. 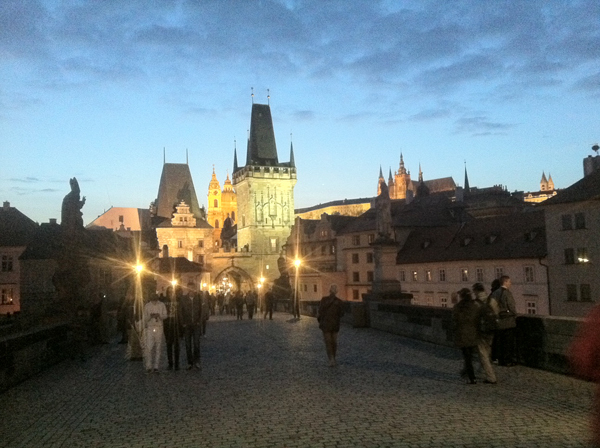 She's a Texan living in Prague with her family. Since she has followed me for a while she knows my love of good food and recommended several great local restaurants most tourists would never find, and where reservations a week ahead are a must. She also took time to meet us face-to-face and give us a tour of the city. What a great way to discover a new town! I'm glad I had reservations to La Terasa last night, because I had a great meal with an incredible view of the city. I posted a couple of pictures of the view and food on Tweeter and Foodspotting and had several friends stateside share in that experience with me. 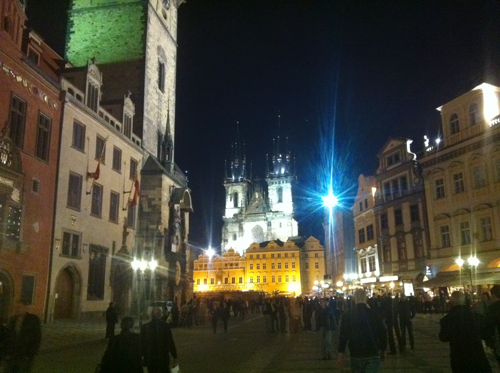 During our first night night I didn't know where to eat so around dinner time as we walked around historic Old Town Prague, I checked my Trip Advisor app and found recommendations for a highly rated restaurant with reasonable prices. Right from the app I mapped the walking route, less than a kilometer (I'm in Europe, so metric rules), and called the place by tapping on the phone number already on my map to see if they could accommodate us. Less than 15 minutes later, we were welcomed at The Phoenix restaurant with a beautiful view of the river. None of that would be possible just a few years ago. Social media continue to change the way we create community. Several people have tried to tell me my virtual friends are not "real" friends. Try telling that to Jennifer or the several great people whom I've not met face to face who are a constant part of my life.